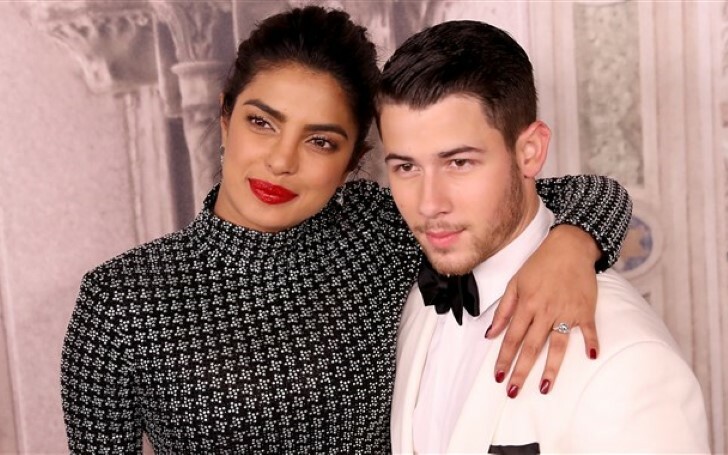 Nick Jonas joins bride-to-be Priyanka Chopra in India. For the occasion of Thanksgiving, Nick Jonas and Priyanka Chopra are spending some quality time together in Delhi. The engaged couple shared an intimate snap on Thursday as Chopra welcomed her fiance to her home country of India. The Quantico star wrote "Welcome home baby..." along with a heart eyes emoji. Later, she shared another snap of Jonas sitting at the head of a long table, celebrating Thanksgiving with her relatives. The soon-to-be bride wrote "Happy Thanksgiving.. family.. forever.."
Although the wedding is yet to be confirmed, the recent photos fueled fan speculation that it will take place in India shortly. As a matter of fact, one user wrote Chopra’s images of the pair have "me reliving the magic of my intercultural wedding." Likewise, another speculated Chopra was sharing sneak peeks from the "5-day event" that will be their wedding. Before he departed for Delhi, Jonas shared a video of himself on a plane. Earlier this month, the gorgeous actress celebrated her bachelorette party with her with future sister-in-law Sophie Turner. Meanwhile, Jonas, 26, has had high-profile relationships with stars such as Miley Cyrus, Selena Gomez, and Lily Collins. "You have to be honest with your other half. That’s where the beauty of a real relationship is, being able to be your authentic self. I have that in my life now."